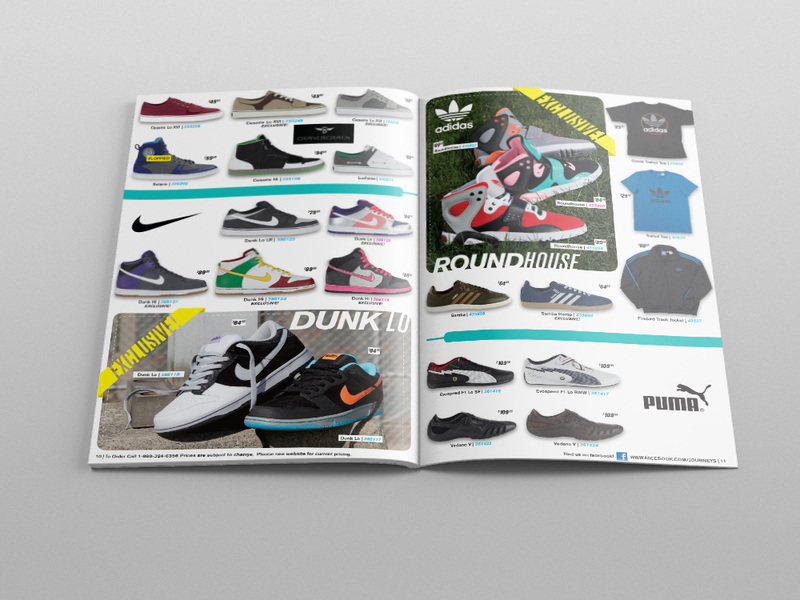 The Journeys Spring 2012 catalog was in a half size format and implemented a more flat design format than past catalogs as that design trend was becoming more and more popular at the time. This catalog utilized group product photography balanced with stand-alone products and flat designed shoe laces to separate brands on the interior of the book. 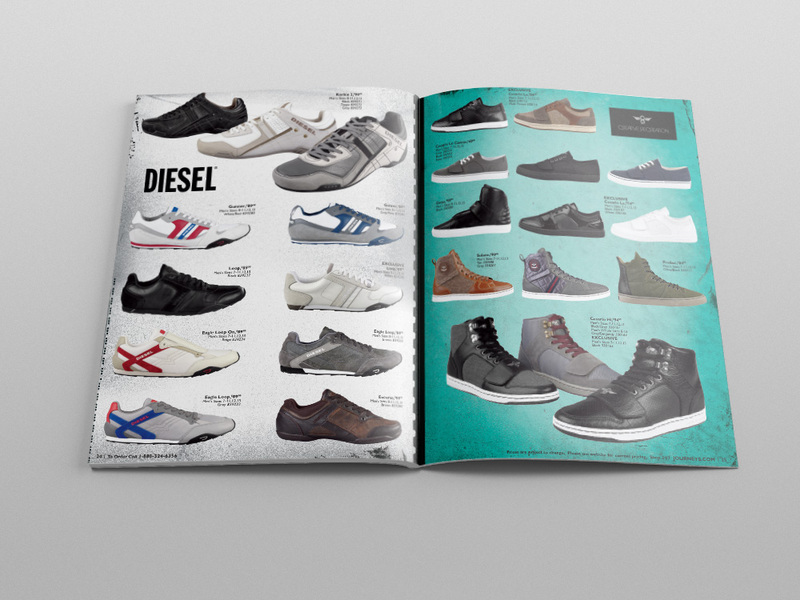 The catalog was a direct mail piece that was utilized as a vehicle to drive customers to Journeys.com. The spreads above feature front/back cover, table of contents and a multi-brand spread. 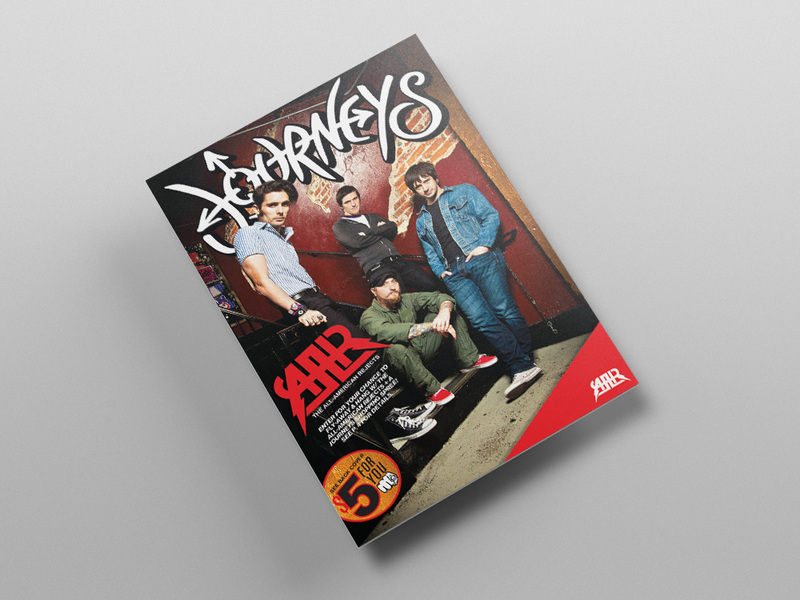 The Holiday 2011 Journeys Catalog’s concept was a mix of photography featuring a band on tour mixed with subtle holiday graphics and paper graphics that symbolized the holiday in a color story rather than gift wrapping paper. This catalog was marketed to be authentic to the youth market’s interests at the time by combining young models and music as well as traditional holiday elements for parents that potentially would be shopping for gifts for their children. 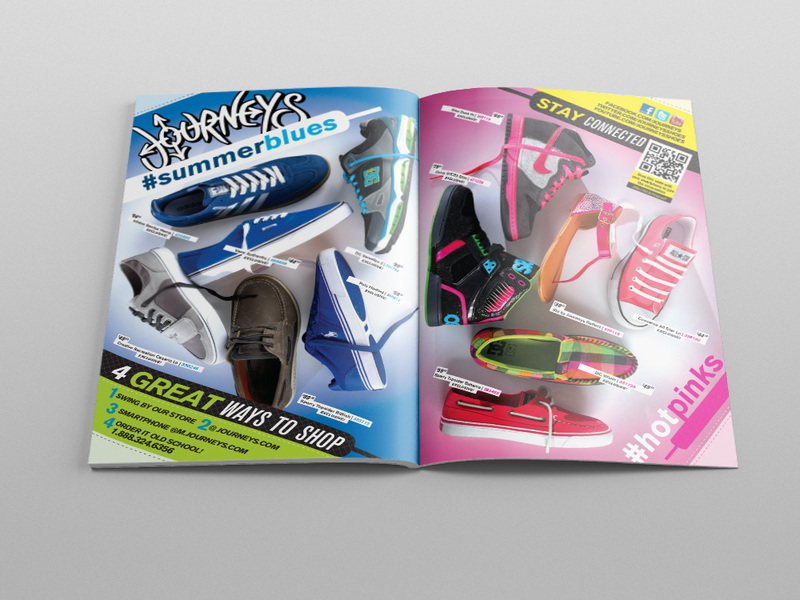 The catalog was a direct mail piece that was utilized as a vehicle to drive customers to Journeys.com. The spreads above feature front/back cover, single brand spread and multi-brand spread.